Jacobson Residence — Isaman design, Inc. Located on four acres in rural Santa Margarita, The Jacobson Residence is a contemporary early California/Spanish-influenced family home. 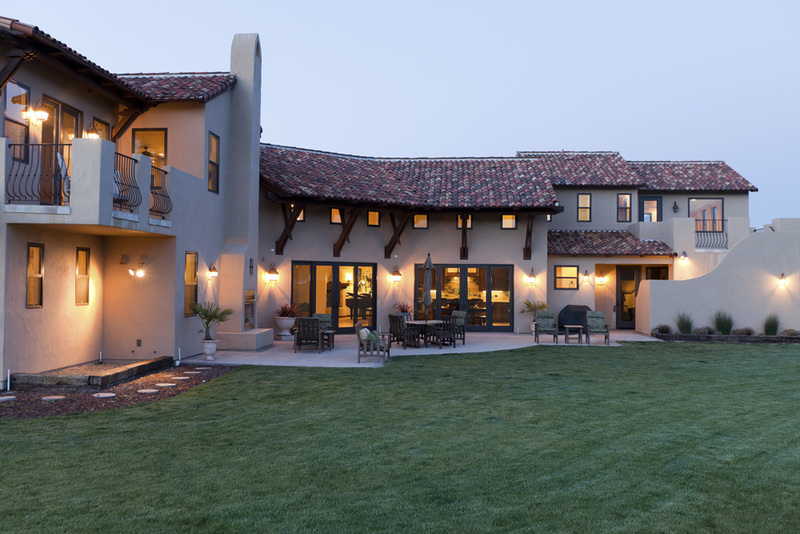 Designed for a couple and their two young children, this large home aims to capture the views of Santa Margarita Valley while complimenting the rural setting. Architecturally, the Spanish influence is characterized by the stucco finish, turreted entry, tile roof and iron work details throughout. At just over 4,900 SF the interior layout includes enough space to meet the needs of the parents and children alike. 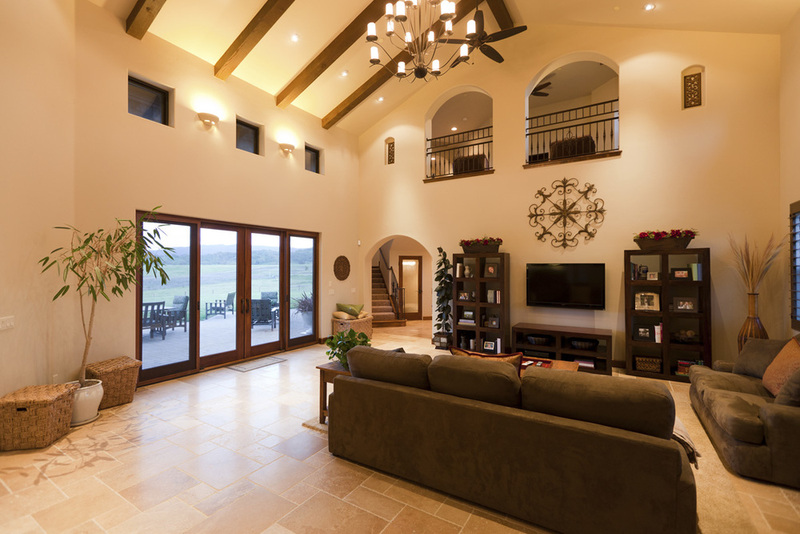 A large great room and kitchen feature vaulted ceilings with exposed beams, arched doorways and travertine floors. For the children, an 800 SF play room, located on the second floor opens to a balcony overlooking the back of the property. 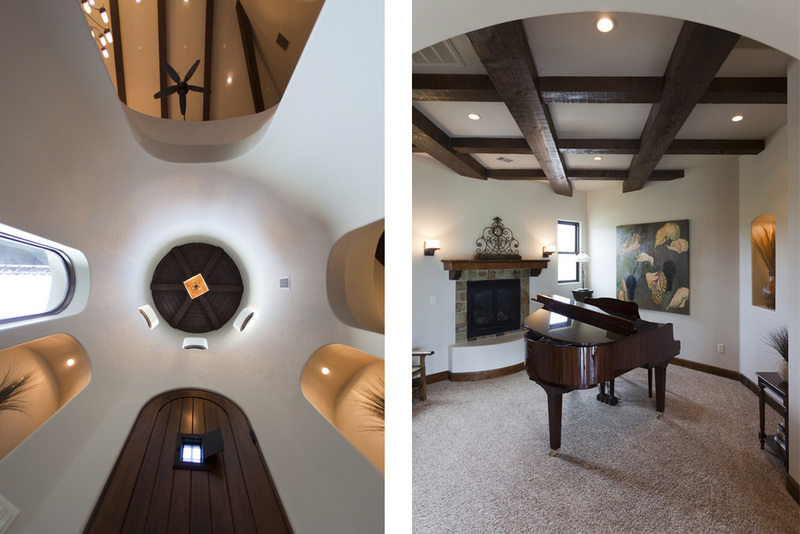 The play room, complete with its own bathroom and exterior entry, has the flexibility to later be converted into a guest apartment. 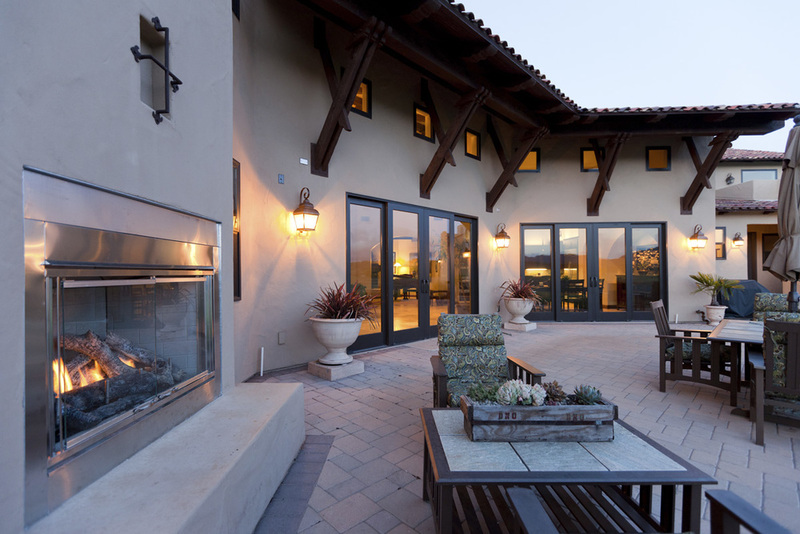 The expansive rear patio backs up to acres of lush grass and the Santa Margarita countryside. The outdoor fireplace and large French doors leading into the house, make this space ideal for entertaining and enjoying the views.